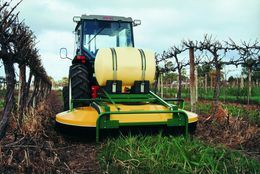 Featuring extendable wings, the Spraydome CDA range has been specifically designed for treating weeds growing between rows of trees. 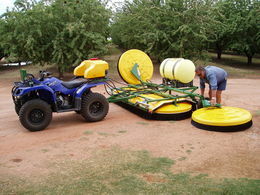 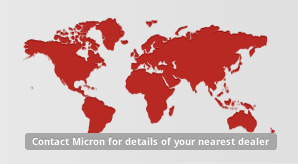 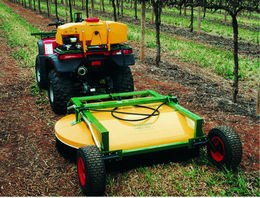 As such, the sprayers are highly suitable for use in almonds, pistachios, walnuts and other tree crops. 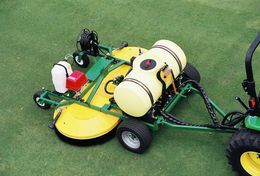 Capable of treating up to 2.4m widths (4.7m when fitted with Spraydome 1200 CDA extensions), Spraydome 1524 CDA offers an economical and effective centre-row weed control. 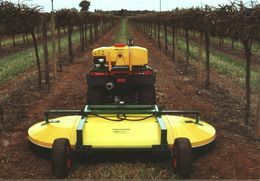 As well as orchards, the machine is highly popular for controlling weeds in vineyards and amenity situations such as roadsides, parks and fence lines.